Los Angeles, New York, Salt Lake City, Carmel, San Diego, Santa Fe, Atlanta, Augusta, Nashville, London, Amsterdam, Berlin, Prague, Krakow, Bibury, Stow-On-The-Wold, Burford, Bath, Brighton, Windsor, Dublin, Paris, Florence, Vienna and Austin. In 2016 I’ve got another new list of cities I’m hoping to visit, along with some old ones I haven’t seen in a long, long time. Here are the ones on the list so far… I’m hoping that by writing them down, I’ll be forced to follow through! Chicago, Charleston, Laihana (Maui), Miami, Athens, Santorini, Dubrovnik, Korcula, Shanghai, Hong Kong, and Seattle. While I won’t be doing a 5-month stint abroad like I did this fall, I do hope to travel just as much this year. I’m also going to be sharing more travel content aside from the city guides I’ve been doing. Some ideas I’ve had include tips for traveling solo (safely), packing for two different climates, how to get the best travel photos, eating healthy while abroad, etc. I’d love your feedback on what kinds of travel content you’re looking for – feel free to email me with questions and suggestions! What are your travel plans for 2016? Any places you think I should add to my list?! Yay! I would love tips on traveling solo, especially foreign countries. Despite having a degree in International Business and living abroad many years ago, I”ve completely lost my international travel skills and need a basic refresher course in navigating foreign countries and travel. Would love packing tips, great clothing items to keep on hand for travel wardrobes…and look forward to hearing more of your travel plans! I have plans to go to Europe this year, as well as Mexico, Harbour Island Bahamas. And to revisit Austin, Dallas, New Orleans and LA. I like your travel guides and will be using your European guide. It’s a country like no other. You will love it! I don’t get a single week of vacation this year, so no travel plans for 2016, but I am planning on Napa in January 2017 and Ireland a few months later, so I can hardly wait. I was in santorini this past october though, and it was AMAZING. You will absolutely love it. 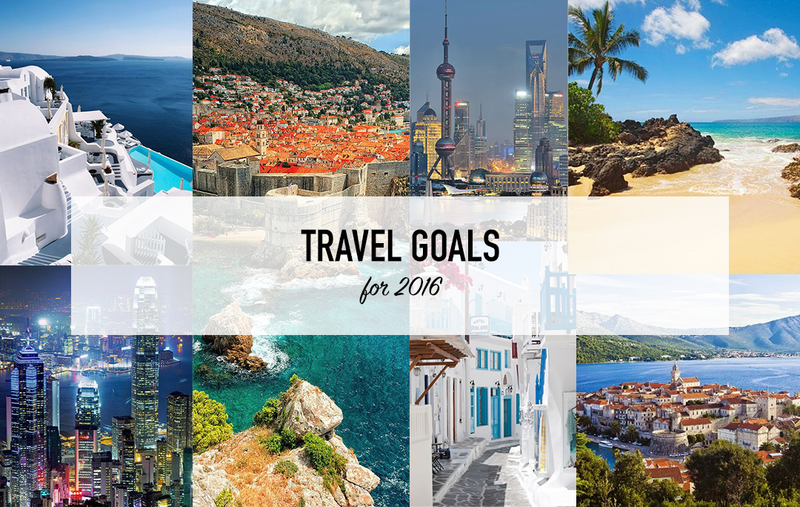 those are some solid travel goals! love it. So far I’ve checked a bunch off my list…..Napa / Sonoma, Whistler, BC, Tremblant + Quebec City. I’m hoping this year to get back to New Orleans and Tulum, and maybe check out Puerto Rico!